I accidentally watched 5 minutes of Dr. Phil’s show today. He was talking with a young lady who is 17 years old about her story. Her dad forced her to take drugs and proceeded to sexually abuse her. That was enough. I turned the television off and started doing something else but the thought haunted me and saddened me to no end. First of all, where was mom? I know when my daughter is about to take her next breath, when she is about to pass gas and even when she is about to get hungry. I am hoping that when she is 10, I will know if someone close to me is abusing her, God forbid! Secondly, and more importantly, as it is the focus of tonight’s blog, how come scum like that man are able to conceive and have children (he had 3 daughters I believe) and some other healthy, lovely couples can’t even have children? Where is the wisdom in that? *Disclaimer* I do not have the answers nor will I pretend to know how to reply to those very difficult questions in my blog post this evening. I only wanted to ‘reflect’ and touch on an issue that seems to be more and more common among couples I know- infertility. I will try and navigate this topic very carefully as I have very limited medical knowledge about this issue. After some research, I understand that 10% of the North American population suffers from infertility- that is 1 in 10 couples who cannot get pregnant. Usually it is one third the woman’s inability, one third the man’s and one third unexplained. There are many physical complications that contribute to infertility and then there are many cases that have none of these causes present yet they remain unresolved and unexplained. People say it is because women are waiting longer to have children and because we are eating processed food and we are surrounded by environmental teratogens that contribute to our inability to reproduce. What I am about to share is very personal but very necessary to this issue because I want to focus on the emotional not the physical portion of this tragic topic. 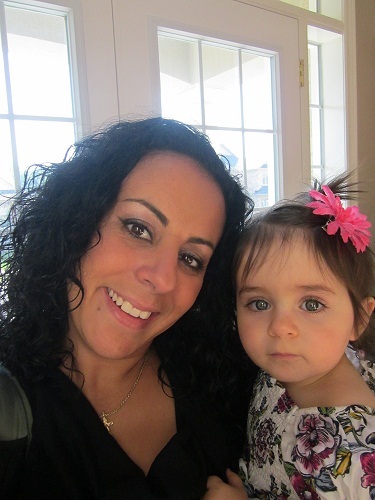 One year after I was married to my gorgeous husband, I began thinking about becoming a mom. I was 28 years old and I was afraid waiting too long was going to inhibit me from having healthy children (notice the plural). I know that pregnancy took time and health. I wanted to be a young mommy and I knew that waiting may mean less children than the six I originally wanted (changed my mind there). My husband and I discussed it and we realized that living in a small condo will not facilitate the space for a baby. We were new at our jobs and we needed to build our home financially first before we conceive. We were in complete agreement that we wanted to take in our fill of each other and travel and hang out with friends. You know; be newlyweds as long as we needed to be. We understood that one day it will be the right time. Year three of our marriage brought me nightmares. 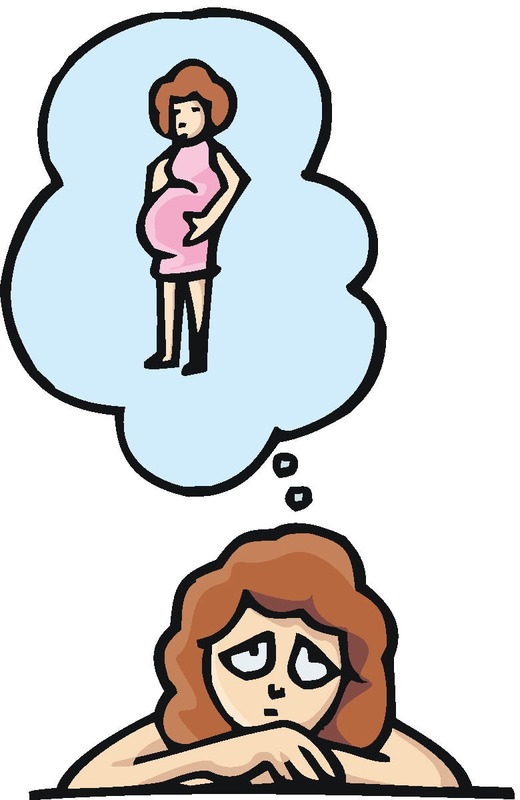 I dreamt of miscarrying and of being told by my doctor that I cannot have children. I would wake up in a cold sweat and not want to go back to bed. It was scarier than dreaming of dead relatives. It was so frightful; I would wake up soaked with tears sometimes. It was silly of me to presume that this would happen because we were not even trying but I was so emotionally incapacitated and subconsciously afraid that waiting will diminish my chances of becoming the one thing I always wanted to be- a mom. Year four was a blur as we began to look for houses and think of selling our condo. We discussed having children again and we agreed that when we purchase a house, we will begin trying. I was excited and mortified at the same time. At this point, I really enjoyed my freedom and our life had fallen into a rhythm and pattern that was predictable, comfortable and fun. I was surrounded by friends, travelling often and having a great time with the man of my dreams. At night though, was a different story. Some nights I would wake up with a foreboding feeling of disappointment and sharp emptiness. My dreams flashed images of still born babies before my eyes and some days I would recall an image from my dreams and start to shudder. I was beginning to feel completely and utterly hopeless and here is the kicker- we were STILL not trying yet. Five years into our marriage, we were in a brand new house and I was offered a small promotion in my job. I came home and asked my husband “Should I take this promotion and put the pregnancy thing on hold?” and God love him, he replied exactly the way I had hoped. “No, you are 32 and you have wanted children for a while, let’s not postpone this anymore”. That moment will be forever etched in my mind because I felt like the skies opened up and I could almost hear angels sing in unison ‘Hallelujah’. I quickly declined the promotion and began praying for a short try to conceive. We got pregnant almost right away. There were some issues in the beginning because my doctor didn’t know if I was pregnant or not (long story) but at the end, I was. I have to tell you, the relief I experienced when I was able to conceive and carry a baby was monumental. I don’t think I ever took a bigger sigh of relief. I was so filled with gratitude that none of my nightmares or fears materialized into reality. I felt fulfilled, productive and gratified. Here is the saddest part of this entire post tonight, women who cannot conceive feel the exact opposite- unfulfilled, useless and hopeless. It is such a cold and hard reality that I am shivering as I write this. I cannot imagine being told that I can’t have a baby. I cannot imagine the million different emotions that would suddenly pound at the walls of my heart. I experienced mounting fear, horrendous nightmares and endless anxieties when I THOUGHT I couldn’t have children, I cannot fathom what it would be like when my worst fears are confirmed. – You are still worthy, beautiful, nurturing and whole. A baby does not fill a void, it creates a new space within the chambers of your heart so consider adopting a baby that will do that very same thing. – There are so many people out there struggling like you, do not be ashamed, and do not suffer alone. Find someone to talk to, to vent to, to shout at, to cry with- we all need support but this one thing needs a network and a LOT of support. – If you need to talk to me about it, message me and I will contact you. I can’t empathize because I was gifted with my baby girl but I can be a listening ear or a much needed punching bag. At the end of the day, I am left wondering how some people who don’t deserve children have them and some who are more than perfect to be parents can’t have any? I know that there is a divine plan. I know that when it is meant to be, it is meant to be. I know that there is wisdom in all things and bad things often happen to good people because good people usually turn the bad things into good experiences. Thank you for taking this journey with me and I hope I have offered some comfort to those who wonder if they are alone in their obsessions and fears. I find myself distanced from old friends, parties, gatherings and events. I don’t know why. I can’t explain my need to just be home and spend time with my family. I can’t fathom why I am tired all the time and why I’m always up for a long nap when I can get one. My life is undoubtedly busy. I work full-time; own a business and I volunteer at my church. I am an avid reader, writer and I will start attending a kickboxing class soon to stay in shape and be healthy. Between all those commitments and activities, I find myself lost in a sea of ‘chaotic’ and ‘endless’ activities. When do people have time to be good to themselves, good to their spouses, good to their children AND good friends? Am I missing a portion of the formula? Where can I find the answer to this conundrum? I am truly blessed with family and friends. But lately, I feel like I just want to be alone. I am not sure why. I just want to play with my baby girl, spend time with my husband then go to bed. If you knew me before I became a mom, I was a social butterfly. I thrived on being around people and my life consisted of the next party/gathering/event. I fed off others’ energy and I made a point of attending each and every event I was invited to because I didn’t want to ‘miss’ anything! I actually enjoyed making my rounds and making sure that I am one who will never be forgotten. Now though…not so much. I would actually prefer to melt into the background and just observe what is going on around me. I still enjoy being around people so you can scratch depression off the list; I just don’t feel as engaged in everything. I just returned from a 5 day business trip away from my family and I all I wanted to do was get on the playroom floor with my daughter and see her smile at me as she shows me all her new moves and all the things she’d learned in the past week! I am glad to be back but October seems already packed with events to attend. Between Thanksgiving, my mom’s birthday, three friend’s birthdays, my own birthday, my wedding anniversary, and Halloween; I am feeling a tad overwhelmed. We have commitments everywhere and all the time and I suddenly feel a little pressed for time and a lot empty on energy. It is also a challenge to find someone who can watch our baby girl. We don’t want to put the grandma’s out and use them left, right and centre. They do have their own life too. So it is definitely getting tricky! I need to navigate carefully because I care about all the people and all the events that result in our invitations but I also need to balance my life because I feel like it is spinning out of control.